Afghan interpreters who were employed by the British Army, and whose lives are thought to be in danger, have won the right to challenge the government over unlawful discrimination. They seek to overturn a policy that restricts their entry into Britain. On Tuesday, a British appeal court ruled that MPs must offer a response to claims that the government failed to extend equal treatment to Afghani and Iraqi interpreters. The allegations were sparked by contrasting resettlement schemes offered to each respective group. When UK forces withdrew from Iraq, provincial interpreters who had worked for the British state were offered a special assistance program. As part of the scheme, they could opt for a one-off financial payment, an open-ended invitation to enter Britain, or long-term resettlement in the UK. The Afghan redundancy scheme was highly inferior, lawyers argue. 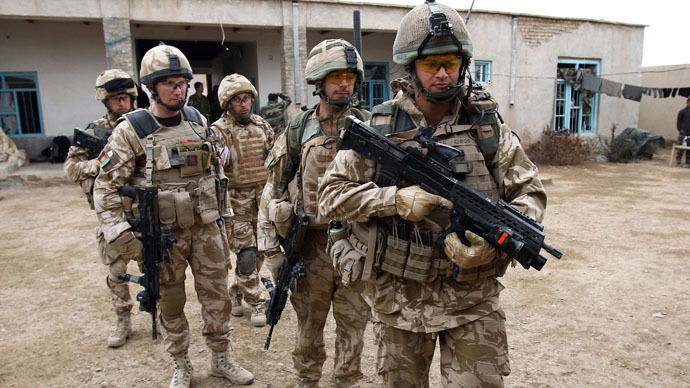 The only Afghani interpreters who were offered an opportunity to indefinitely relocate to the UK were those who served in Britain’s armed forces from December 2012. Their resettlement was further dependent on whether they had worked in Afghanistan’s Helmand province. Hundreds of Afghani interpreters who finished working prior to December 2012, and are subject to death threats, are forced to rely on a less robust policy. To date, only one has been considered at a high enough risk to warrant a British visa. The appeal court’s decision on Tuesday has paved the way for a judicial review to examine whether Britain’s defense and foreign secretaries upheld their statutory duties. The review is scheduled to occur in February. When delivering the appeal court’s judgment on Tuesday, Lord Justice Sullivan said that ensuring “government decisions were made in a lawful manner” is in the public interest. Rosa Curling, a lawyer representing the interpreters, expressed delight at the ruling. “The refusal by the government to offer the same resettlement scheme to Afghan interpreters as to Iraqi interpreters is discriminatory and unlawful,” she told the Guardian. “There are many interpreters and their families whose lives depend upon the decisions of this appeal and the judicial review,” he told the Guardian. 28 year-oldHottak,who is now based in Birmingham, fled Afghanistan in the wake of death threats. In December, the ex-interpreter told the Guardian he had seen footage of two of his former colleagues being brutally beheaded on the web. The deceased, who Hottak claims were his friends, are depicted to be struggling as they are constrained by an attacker wielding a knife. A caption shown on the film in Pashto referred to the victims as spies.